The third annual CUFF.Docs lineup has been revealed! We're excited to present Breaking A Monster on Saturday, November 21 at 9:30pm the Globe Cinema (617 8th Ave. SW). Spending their weekends playing music in Times Square, pre-teen metal band Unlocking The Truth soon take on a veteran industry manager and land a $1.8 million dollar record deal. Breaking a Monster is the story of their rapid breakout and coming of age. Video Vulture Live! 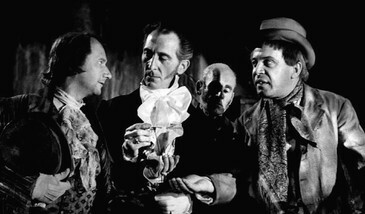 returns for its next installment on Sunday, November 1 at Good Luck Bar (207 12th Ave. SW) with 1960 British horror film The Flesh and the Fiends, starring Peter Cushing and Donald Pleasance. Edinburgh surgeon Dr. Robert Knox requires cadavers for his research into the functioning of the human body; local ne'er-do-wells Burke and Hare find ways to provide him with fresh specimens. Based on the real-life antics of murderers William Burke and William Hare. Doors at 7:00pm, presentation from the Video Vulture (John Tebbutt) at 7:30pm, film at 8:00pm. Free entry, free popcorn, licensed! Sled Island returns for its 10th anniversary from June 22 - 26, 2016! 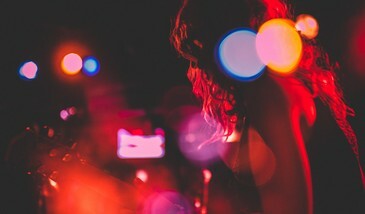 Early bird passes go on sale December 1, 2015 at SledIsland.com. More details coming soon! Music, comedy and film submissions are now open.